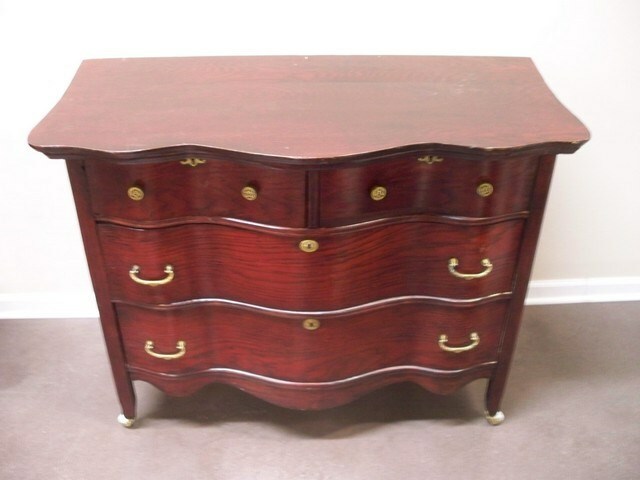 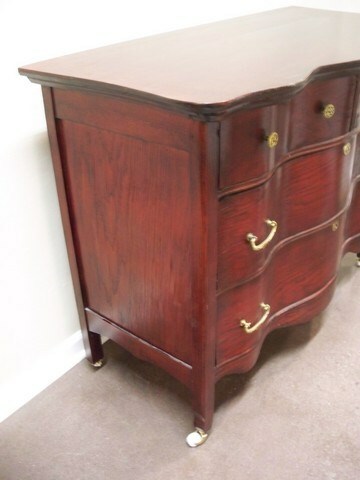 Vintage Serpentine Front Dresser on Casters with Dovetail Drawers. 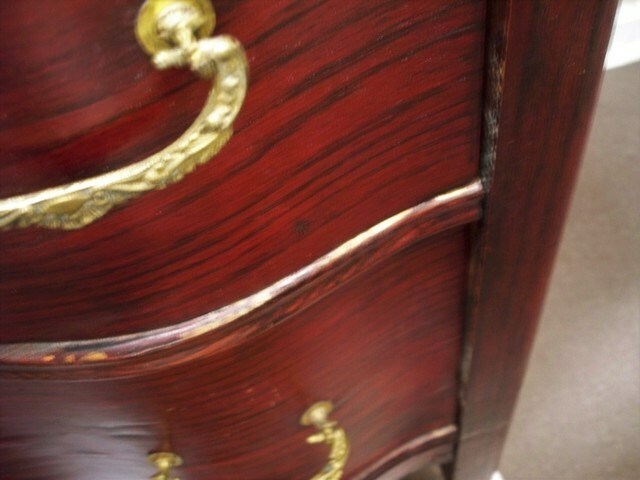 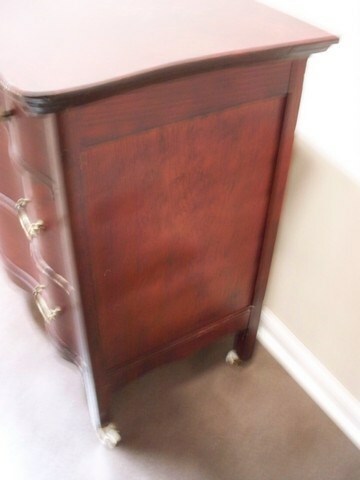 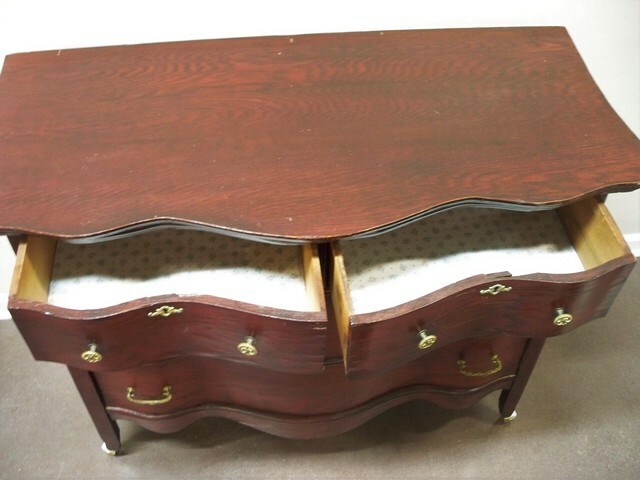 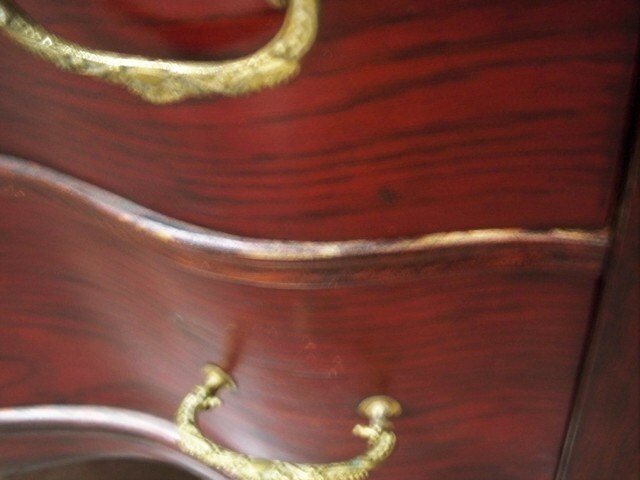 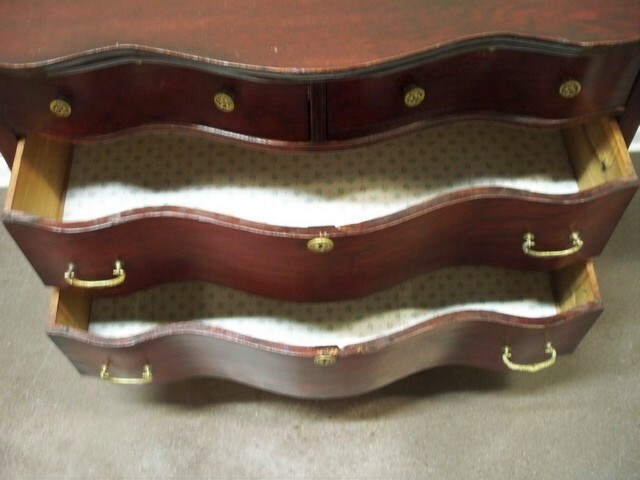 The top has some wear/scuffs and there is some wear/nicks around the drawer openings. 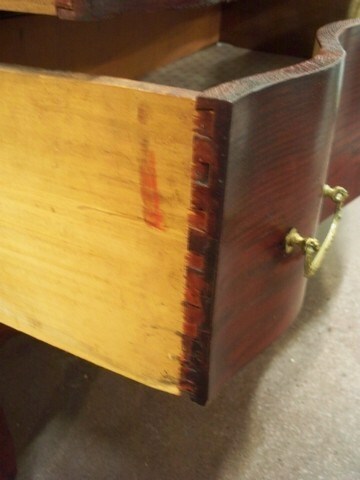 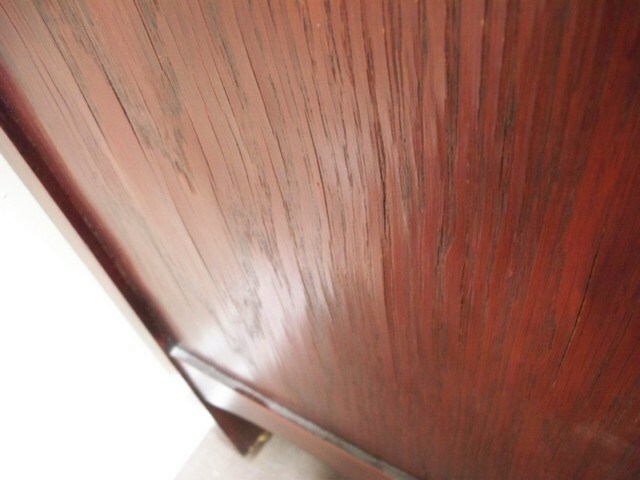 Also the wood veneer sides have some rough/raised grain.